After tooth extraction, bone resorption of varying amounts always occurs since the edentulous site of the alveolar process undergoes both qualitative and quantitative changes. Scientific evidence exists about the dynamics of tissue alteration following tooth extraction. Hystologically and anatomically, the alveolar bone is a tooth dependent structure that develops in conjunction with his eruption, and the topography is determined by the form of the teeth and their axis of eruption. In the first phase of remodelling of the buccal/lingual walls of the extraction site, the bundle bone is resorbed since the lack of nutritive support from the periodontal ligament, and replaced with woven bone. Consequently, the socket’s walls will be reduced in both vertical and horizontal dimensions. This resorption may lead to esthetic and functional disadvantages that can compromise future implant placement since, in order to have a correct endosseous implant positioning, an adequate width of the bone ridge is essential. 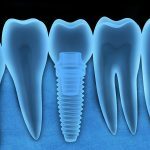 Based on this report, it becomes mandatory to preserve in someway the dimension of the postextraction socket, specially if an osseointegrated implant should be inserted in. Different approaches have been presented in literature in order to preserve the post-extraction site, including the use of barrier membranes and bone fillers. The results of these researches confirmed that the filling and covering of the post-extractive alveolus preserves the bone volume with more predictability than the spontaneous healing. Socket preservation is a bone regeneration technique used to minimize dimensional changes of soft and hard tissue after tooth extraction. Similar to the dynamic of spontaneous healing of a postextractive site, ridge preservation enhances the stabilization of the blood clot, that will reorganize and be replaced by provisional connective tissue matrix, woven and lamellar bone and by bone marrow. Barrier membranes are used to make space for the blood clot and to exclude soft tissue ingrowth. Implantology (SIO). International Member of the American Academy of Periodontology (AAP). Scientific Director of PROED – Association for Professional Education in Dentistry. 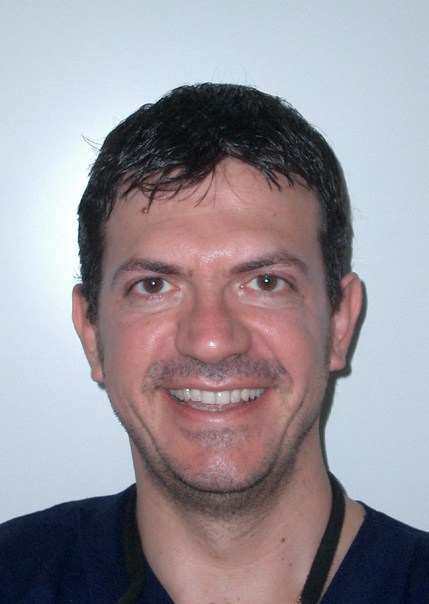 Director of the Oral Implantology Department at the “Sedes Sapientae” Clinic in Turin. Fellow in the “Harvard Longitudinal Course in Periodontology and Implantology” at the Harvard Dental School. Winner of the “Henry M. Goldman” Award for the Clinical Research at the 11th National SIdP Congress. Member of the Editorial Review Board of American Journal of Orthodontics & Dentofacial Orthopedics and of The Journal of Implant & Advanced Clinical Dentistry, reviewer ad hoc for Journal of Periodontology, Angle Orthodontists and Indian Journal of Dental Research, referee for Progress in Orthodontics. Lecturer in several National and International Scientific Meetings, he has presented clinical works during the research sessions at the 11th SIdP International Congress, at Europerio 4 and 5, at the 89th and 90th AAP Annual Meetings, at Osteology 2007 and 2011. Author of several papers on topics of Periodontology, Implantology, Regenerative Therapy and Ortho-Perio Interdisciplinary treatment. Private practice in Turin, Italy. The lecture session will be followed by an hands-on session on animal jaws. Only a restricted number of participants is admitted (from 12 to 15) to offer the due attention and support to each of them. Time will be also devoted to teambuilding activities. • The classification of post-extraction sites. Immediate, immediate-delayed, delayed and healed sites. Clinical consideration, advantages and disadvantages regarding the soft tissue level. • Biological and esthetic considerations of the periimplant soft tissues. 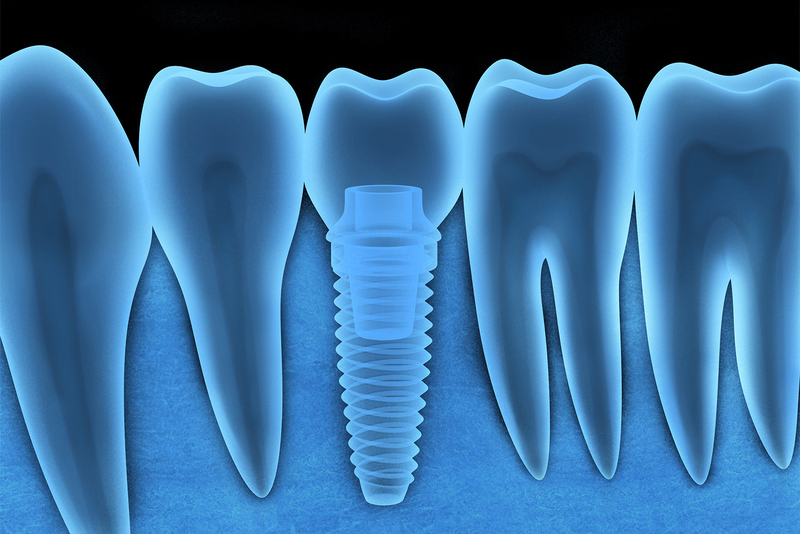 How to manage and maintain the stability of the soft tissues around osseointegrated implants. • Extractive and implant surgery: the choice of the surgical tray, the choice of the instruments. • Ridge preservation: the extraction technique, the choice of the biomaterials, the protocol for grafting the alveolus.